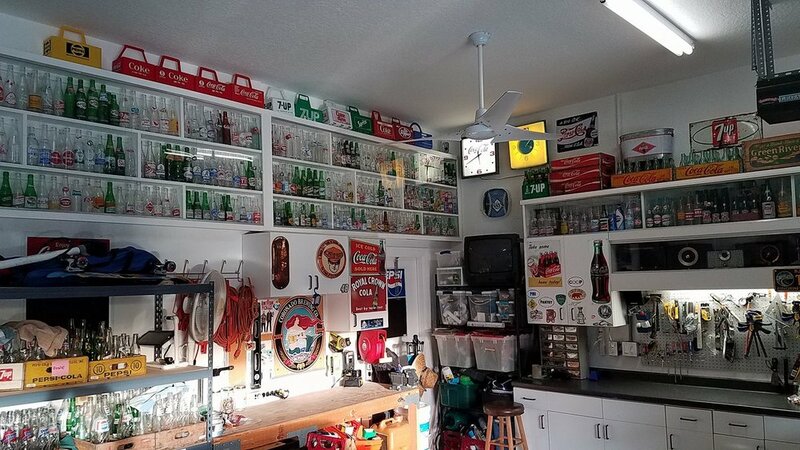 As a young teenager during those hot Florida summers in the 1980s, I can always remember gathering up glass soda bottles around the house only to be able to exchange them back to the store for that 10 cent deposit and to purchase another ice cold bottle of soda. Well the times have changed and those glass bottles are now only a memory. In this new throwaway society, plastic is king and we now pay our local city municipalities to have these plastic bottles collected at our curbside only to be melted into park benches. More a baseball card collector as a kid, I only started recently as a "soda collector" so some veterans might just call me a rookie. Each bottle that I find, whether at the local flea markets, online sites, or bottle shows makes me think and research the history of either that brand or type of soda. Fast forward to today, this passion has evolved to the creation of this website and my blog. My main message is to share my knowledge and research on the forgotten sodas of the past. Hope you enjoy this site and feel free to reach out to me via the email link below or on the Forum to share your experiences.